Joining Bruce In The Brick City Tonight…The Jersey Prize Club! Congrats to our winners from a "Proud to be New Jersey Weekend!" I'm sure most of you are aware that we are in the business of giving things away, and I think we do a pretty damn good job at doing so! 'The Jersey Prize Club' was created with the simple idea of giving BIG ticket prizes away to the people that really LOVE our radio station! So when I sat down with Ray The Prize Guy, the biggest prize we could think of was... tickets and a limo ride to see Bruce Springsteen in Newark at The Rock! Well from everyone at New Jersey 101.5 we would like to congratulate Scott and Kathleen from Laurence Harbor on winning a pair of tickets to tonight's show plus a limo ride! The show should prove to be excellent per Deminski and Doyle's producer Joe Votruba's review of the show in The Meadowlands last month! 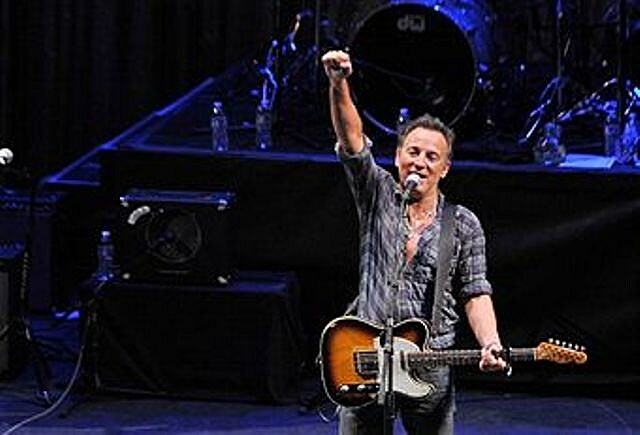 To see the rest of Bruce's tour this year click here! If you haven't joined 'The Jersey Prize Club' yet then follow the link and put in that email address! Tickets, cash, iPad's and tons of other awesome prizes are standing by just waiting to be won! Good Luck everybody and again Scott & Kathleen, enjoy the show tonight!